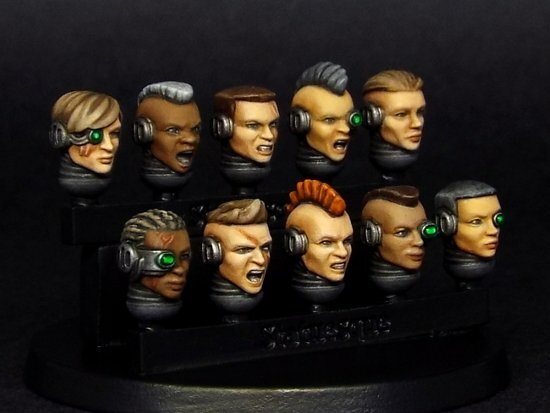 Encased in environment suits and swollen to a massive size by a regime of drugs and arcane technology, the Heroic Scale Female Heads – Techno Roiders set is designed to allow you to convert your large, armoured super-soldiers. Available as a New Release Special Offer for only £4.45, saving 10%. Don’t forget to check out the comparison photos on their blog for various test conversion using all sizes of Statuesque Female Heads. 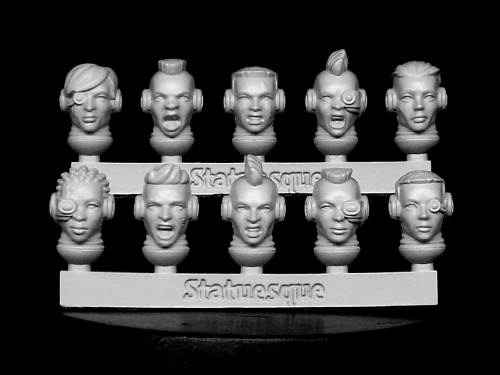 Please note, these heads are larger than the existing Heroic Scale Female Heads range.